In the warm weather months, wedges are a must-have staple item. This shoe blends versatility & comfort, & leaves you with few options when it comes to the style of jeans you pair them with. First things first: consider the fit of your denim. Skinny jeans & wedges are a match made in shoe heaven. Opt for a pair of ankle jeans to create the illusion of mile-long legs. If your jeans are a bit too long, try thinly cuffing them so they hit just above your ankles. Prefer bootcut or wide leg jeans? Choose a pair that covers most of the wedge for a streamlined look. Since wedges are made for warmer weather, try pairing them with different styles & colors of jeans. A pair of cognac wedges can be paired with almost any color or style. A pastel pair of skinny jeans—think Pantone’s colors of the year—would be the ultimate romantic touch. Or push yourself even further out of your comfort zone with a pair of floral print jeans. 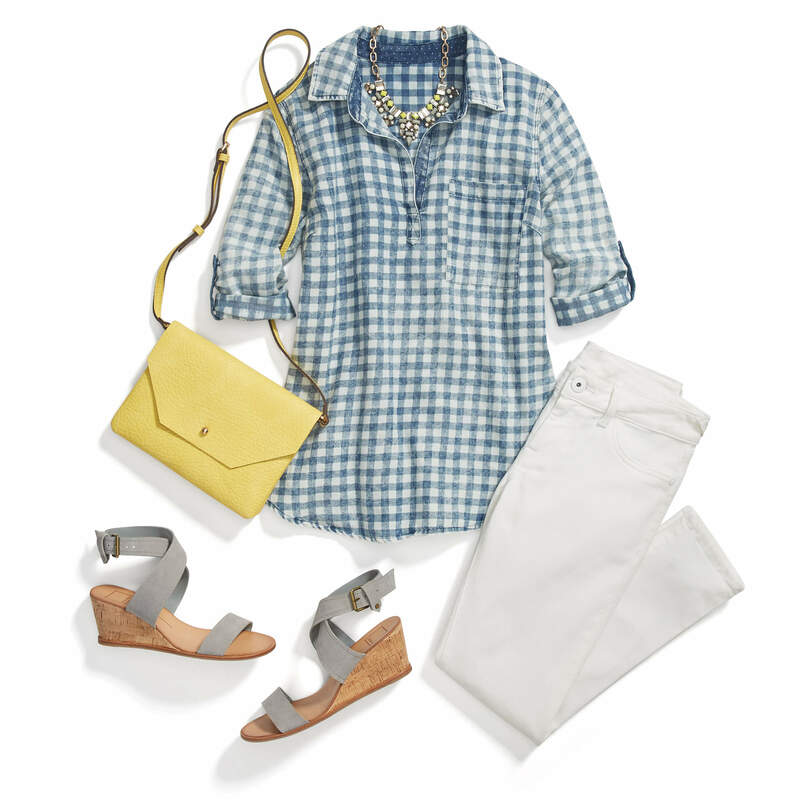 When in doubt, break out a classic pair of white jeans for a never-fail style.